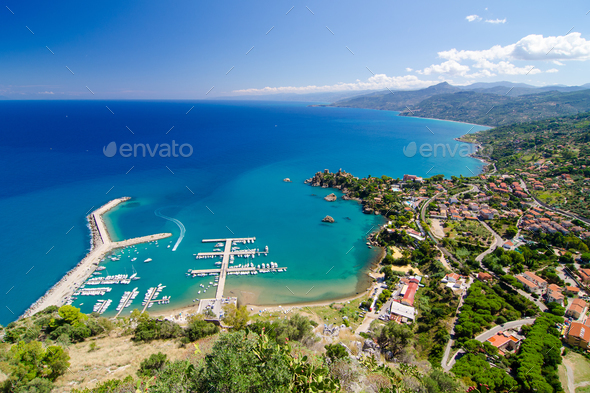 Aerial view of the Cefalu, Sicily, Italy. Lovely sea and mediterranean historical houses. Province of Palermo.